In May, Siesta Key’s own Judith Thomas was presented with the 2017 Sonja Henie award at the Professional Skaters Association banquet held in Franklin, Tennessee. This much-coveted award has been given annually since 1996 and is bestowed upon a female Professional Skater or Coach who has brought recognition to the sport in a positive and favorable manner. Called Judy by friends, this beautiful and charming professional skater qualifies as a real-life “Fairy Godmother”. Over the past 20 years, hundreds of young skater’s lives have been touched and transformed by her “hiring wand”. As Talent Director and Production Coordinator for Feld Entertainment’s DISNEY ON ICE, she has been able to open the world of skating to those she hires, providing them with opportunities to experience the joy of performing on ice all over the globe. Born in Canada, Judy grew up in Thunder Bay, Ontario. Her father, Pentti Lund, was a professional hockey player, the first Finnish hockey player to score a goal in the NHL. At the time, there were only 6 teams in the League. 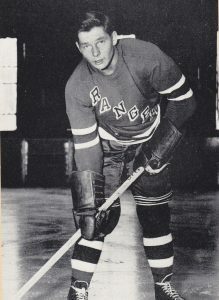 During his spectacular career, Pentti was a right winger for the Boston Bruins and the New York Rangers and was also named 1949 Rookie of The Year. Most Canadians get their first skates shortly after beginning to walk. While youngsters, the three Lund sisters enrolled in a club where they were trained in figure skating by skilled coaches. As a child, Judy learned to skate solo and also in pairs, along with her twin sister. 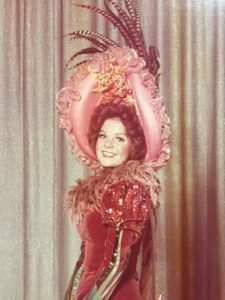 Soon Judy was participating in the Winter Carnivals of Thunder Bay. In those early theatrical experiences, Judy knew she had found her niche. She truly loved the performances! Judy moved to Vancouver to finish school. One day, she crossed the border to go shopping in Seattle, and she saw a poster for ICE FOLLIES. “Oh… maybe I should audition for that,” she thought. 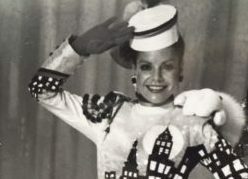 Judy auditioned, was hired, and started rehearsals in San Francisco that summer. At the age of 18 years, her life as a professional skater had been launched! 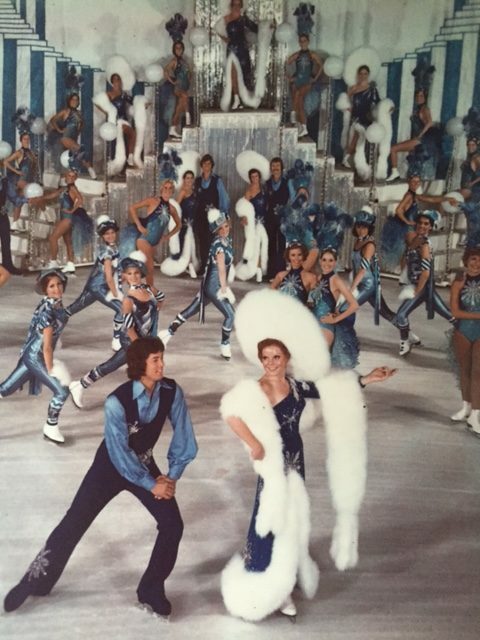 She traveled all through the US and Canada with the ICE FOLLIES and HOLIDAY ON ICE. 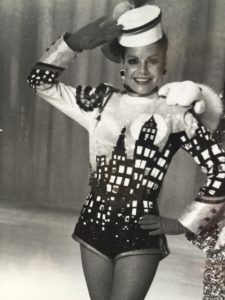 Then Feld Entertainment bought the show in which she was traveling, and created DISNEY ON ICE— which eventually expanded to become 9 shows which currently perform in 74 countries all over the world. 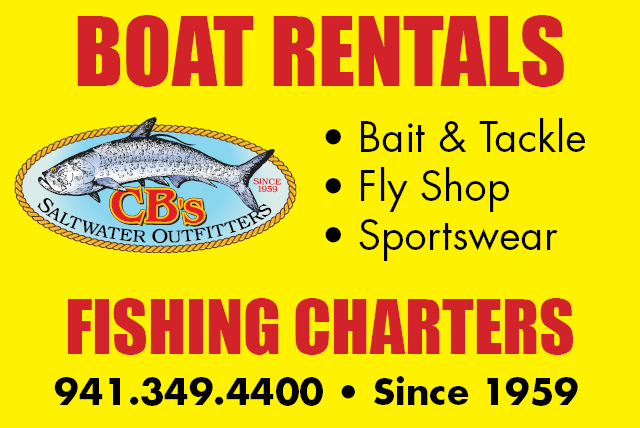 Interestingly, Feld Entertainment is located in nearby Ellenton, Florida. It’s a family-run company that has been in existence for generations. 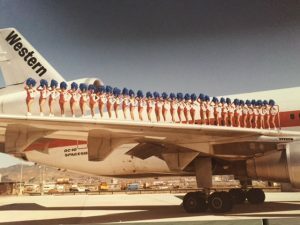 Many people in the company have come up through the ranks, as did Judith Thomas. January to April: visit shows and contracting meetings for the coming year. May and June: complete casting for the upcoming shows. July to November: new shows are in rehearsal and show visits. Judy met her husband, David Thomas, when both were performing on the ice. He, too, was a Canadian skater, who fully understands the demands and complications of the key position she now holds. The couple lives in a lovely home on Siesta Key, and all their children have four paws.